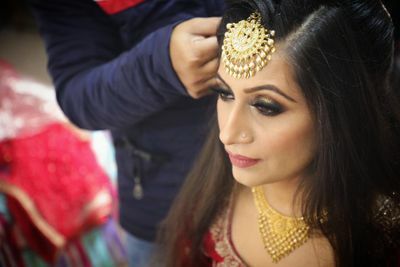 Makeup by Joban Sandhu is one of the most renowned and reputed makeup studios in Chandigarh. 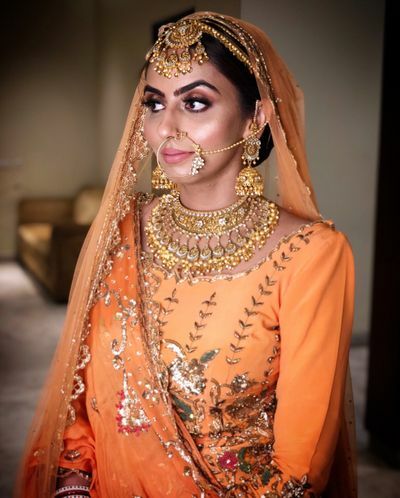 Joban Sandhu has never believed in over the top bridal looks. With years of experience and refinement in her skill, she’s mastered the art of making one look subtle yet gorgeous, all at the same time. 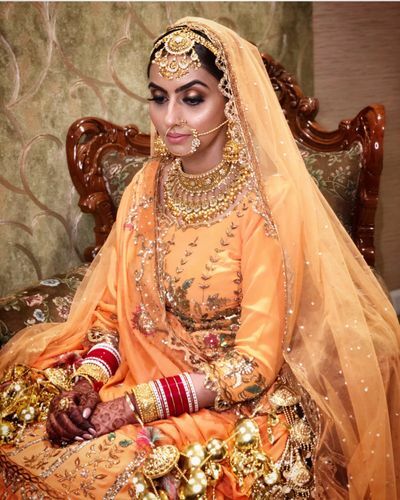 Her focus has always been the bride’s beautiful features, which are highlighted and emphasised upon in all her looks. 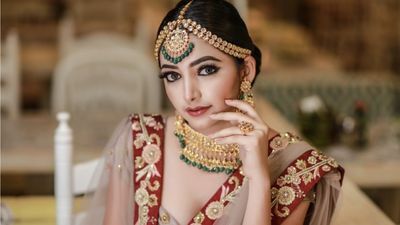 Joban always focuses on the comfort of those who have put their faith in her, so be it a destination wedding or any venue in the city, you can always count on this studio to be there styling and transforming the bride as well as the bridal party. 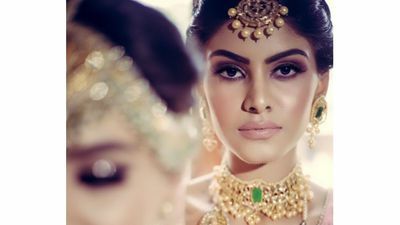 We all love the whole experience of being pampered like movie stars and Joban made me feel like one.She did make up for my very first function(Engagement), the amount of compliments that I got on my makeup in particular was unreal.I truly appreciated your patience and talent in doing everything and beyond to make me feel so comfortable to work with youÃ°ÂÂ¤Â You were amazing and terrific!!! Please let your hairstylist and assistant know that I appreciated all their help as well and they are incredible. Your hairstylist in particular, the rose bun that he did is still being praised till date. This look was my husbandÃ¢ÂÂs favourite look. From draping my dupatta to the lip colour to convincing me to carry those lenses, you did a great job JobanÃ°ÂÂ¤Â I was completely impressed with your talent, and your ability to translate my wishes into something more beautiful than I could have imaginedÃ¢ÂÂ¤Ã¯Â¸ÂÃ¢ÂÂ¤Ã¯Â¸Â My face lasted through tears of joy and lots of hugs.I ended up crying multiple times during the wedding but my eye make up stayed in place and did not smear!! Joban is very consistent and reliable, as well as extremely passionate about her craft. I recommend her to everyone I meet that is in need of makeup services, so it only seems fitting I recommend her online, as well. Joban Sandhu is an incredible Makeup Artist and just a wonderful human being. She will make you look like the most flawlessly beautiful version of yourself but most importantly you will still look and feel like you! She is exactly who you want by your side on your wedding day. When you think about your wedding vendors, picking talented people is a given but remember to pick vendors who you want to spend your day with...because these people will be supporting you through so many special moments. I wouldn't think twice about Joban...she's the best in every way. Just feel lucky to have her as your makeup artist !!! 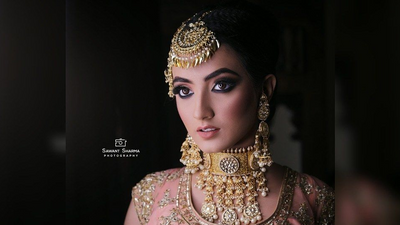 Joban is amazing in giving you so natural look with her talent. 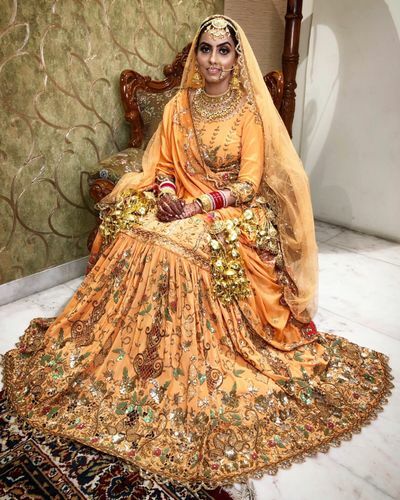 I hired her for my entire and each event starting from my Ring Ceremony, Shagun and Wedding Day. I have never felt so confident and beautiful. She did such a great job, she worked with me to find the exact look I wanted for each event and I never looked over-done or looked like I had a lot of make up on which I loved. 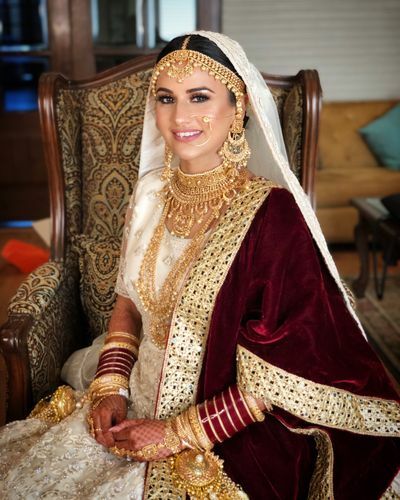 Joban made me feel so calm and relaxed on my wedding day which is something I love about her. She is so easy to be around and gets along with everyone. She is also extremely professional, patient, helpful and just an overall sweetheart. I will see Joban from now on for any event I have and I highly recommend her. Brilliant personality and skilful craft makes Joban my Ã¢ÂÂgo to make up artistÃ¢ÂÂ in town. Outstanding customer service and an overall welcoming aura makes the experience delightful. 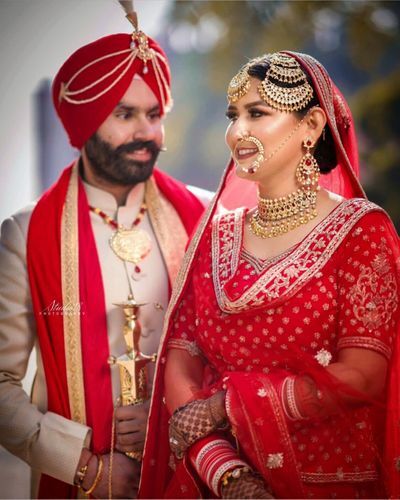 Ohh Joban What can I say, just wanted to say thank you for my makeup on shagun and wedding.. you have done a fabulous job!! Having you had my makeup artist for the 2 most beautiful days of my , was the most precious decided I made!! I have had so many complements from my friends and family when I came bcak to England.. keep up your fabulous artistic skill Dear P.S I will deffo see you next time when I visit Amritsar!!! Once again thank you for the whole experience!! It was an absolute delight to have Joban work her magic on me for the opening of my Library Cafe. She is the master of creating a fresh and natural look for clients. Soft subtle makeup is her USP and that's why she is a favorite ?? 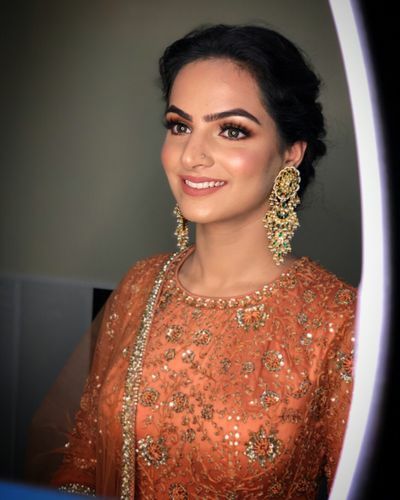 Get best quote from Makeup by Joban Sandhu and book your date! Check their prices and availability. 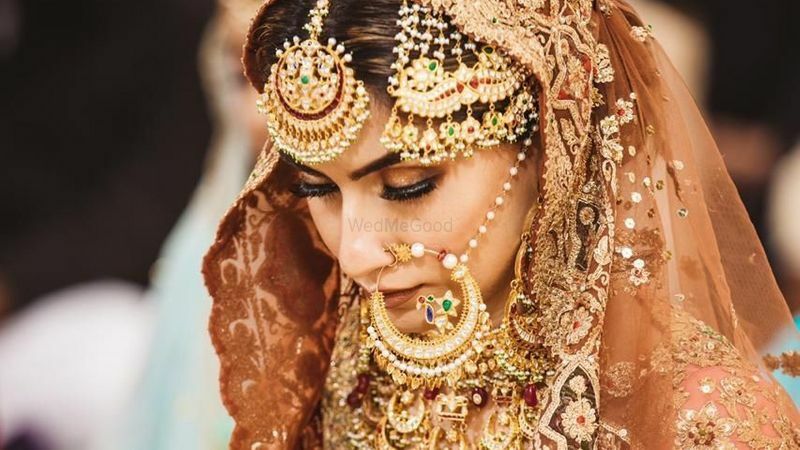 Send enquiry to your selected list of Bridal Makeup at WedMeGood and choose the best. 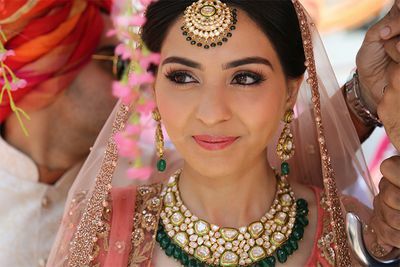 Browse for more Bridal Makeup in Chandigarh and more wedding vendors at WedMeGood and plan your wedding hassle free.